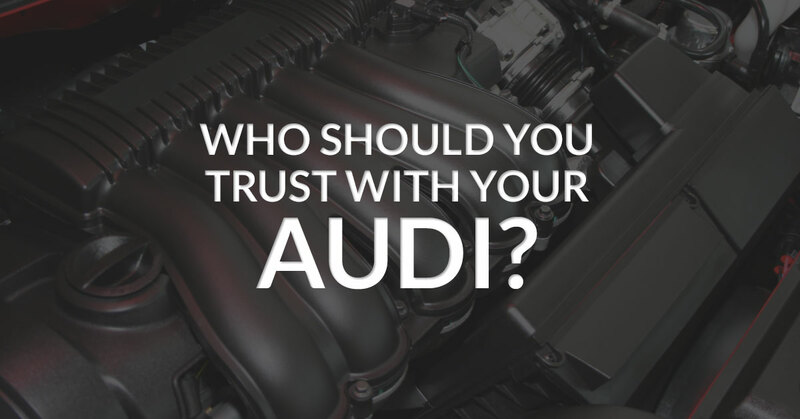 Audi Repair Chesterfield: The Truth About Mechanics. Welcome to part two of our blog series on the importance of choosing an actual import vehicle repair mechanic to handle your Audi repair needs! In our last post, we detailed a couple of the reasons why you should choose the right mechanic if your Audi is experiencing mechanical issues. Audi’s, as with all import vehicles, are highly tuned machines that require a certain level of knowledge and expertise to maintain. If your Audi starts to experience issues, you want to take it to a vehicle repair shop that is going to be able to not only effectively diagnose the issues but can then also fix the issue correctly. In today’s post, we are going to continue to give some additional reasons why our Chesterfield area clients should always come to us to handle their import vehicle repair needs. When it comes to dealing with Audi repair work, it is important to have the right skills to be able to complete the job. These skills can include a working knowledge of Audi vehicle layouts, the proper tools to physically work on the Audi, and support of other mechanics to quickly diagnose any issues that may crop up. However, these are not the only skills that one needs in order to properly maintain an Audi. Below we have listed a few more skills that are essential for an import auto repair mechanic to have. Experience: Although we aren’t suggesting that you find the oldest import auto mechanic that you can, experience is an important factor when it comes to Audi repair and maintenance. With experience comes knowledge and with knowledge comes expertise. While must import auto repair shops are staffed with highly trained and knowledgeable mechanics, it is important to remember that, as the customer, you take a moment to properly vet the place. If you feel that the mechanics are experienced enough to work on your vehicle, you are less likely to stress about any repair work that needs to be done. Attention: Have you ever gone to a big box vehicle maintenance shop and felt like everyone there was more concerned with how many cars they could do in a day and less concerned with how well they actually did their job? If you’re like the majority of Americans You probably have. At Kudos Import and Performance, we want all of our Chesterfield clients to feel as though they have a personal relationship with us. Your mechanic should be someone that you have an ongoing relationship with, someone who understands what you want out of your vehicle and what you expect out of any maintenance appointments. This level of comfort will help you better trust your mechanic when they say that a repair needs to be completed on your vehicle. We here at Kudos Import and Performance hope that this blog series has helped to show you exactly why choosing an import auto repair shop over a typical auto mechanic is not only a better idea in regard to your vehicle but is also a better idea in regard to your wallet. Higher quality work, faster work, and invaluable experience all come together to provide you with the best Audi repair work at the best price. If your Audi is in need of some repair work, or it’s just time for your annual maintenance checkup, contact the experts at Kudos Import and Auto today and schedule an appointment. We have the knowledge, skills, tools, and experience to ensure that all of our repair work is the highest quality work possible.